Please make sure you download the Mod file as well as any Map packs when testing for bugs! It will now display the map and mod version in the top right, if those numbers are different you need to go and download the correct version of the mod and map packs so that they are the same number. Place the Antioch Remastered directory in your StarCraft 2/Maps folder. Place AntiochRemastered.SC2Mod in your mods directory. Download the StarCraft: Mass Recall mod (http://www.sc2mapster.com/maps/starcraft-mass-recall/files/61-scmrmod-v5-4/) and place it in your mods folder. Campaign Launcher: Added a new loading screen and introduction to the launcher. Mod: As per lore Gurney is now a blonde alcoholic instead of a brunette one. Mod: Added unit ranks and changed color of biography text. Thrilling stuff, really. Mod: Should you fail to defend it, the Temple of Jepok no longer transforms into the Protoss Radio Tower when it dies. Mod: Changed how N/T's ability works, now it can be a quick 25 dmg large aoe, or if you let it charge up first it will cause dmg over the entire time of the channel while restoring his shields, and then explode doing the 25 dmg. Mod: Fixed N/T's attack animation again, perhaps this time for good. Mod: The Emitter Scout was feeling left out on the abilities front so now he has the ability to create specialized emitter cannon's that use the psi dampener technology to buff the shields of nearby protoss while slowing nearby zerg, and also attacking any nearby enemy units. 1-4: Made some creepy adjustments, moved some bases around, added vespene to expansion, did a tango. 1-6: Removed a terrain object glitch. Yep; we’re having a great time over here. 1-8: Nurohk’s other twin no longer supplants Turmalis during the briefing. 2-1: The two Vespene geysers in the opening cutscene are self-actuated and perfectly capable of taking care of themselves. Therefore, the player no longer rescues them along with Nurohk’s forces. 2-3: Fixed the tech tree some more. 2-3: Decided that Turmalis’s crew were feeling far too secure, so they get in on the random waves of Zerg attacking them. First person to say it’s too hard gets ignored for 24 hours. 2-4: Restored yet another cutscene that Lucid Iguana disabled. 2-4: Added a hint about robots. If we told you what it was, it wouldn’t be a hint. 2-6: In yet another disappointing concession to playability, units may now enter the mining base, allowing the mission to be completed. 2-8: Made significant improvements to the terrain. 2-8: Losing all of your forces during the Protoss segment of the map no longer results in being trapped in purgatory. Instead, you lose the game. Episode 2 is now in beta instead of alpha. Mod: Did something that will either make Mox stop interrupting himself, or stop talking completely. We'll see. Mod: Nurohk is no longer selected when group selecting dragoons. Mod: Ian Anduin's ability Rev Engines now has a 5 vespene cost and a 10 second cool down instead of a 15 second cooldown and no cost. Mod: N/T no longer shares a weapon with pedestrian archon's. Mod: Mox no longer makes lesser firebat sounds when using Jane's Revenge. 1-2: DyngoDyno asked for Mutalisks. Our official policy is to accept exactly 66% of his tickets. This was one of them! 1-3: Scooted a camera about two inches, blocking out the gorgeous starry night of Aiur. Alas, we may never see its like again. 1-5: Tranquilized an overly excitable Healing Station so it can now only be rescued once. 1-5: Attempted to prevent pathing snafus. Almost certainly failed. 1-5: Removed a few duplicate units. 1-8: Jayborino said this map was too easy. He was right. If you’d like to thank him for getting us to fix it, please visit https://www.youtube.com/user/JayborinoPlays. 1-8: Your starting Siege Tanks can now return to siege mode if you unsiege them before researching siege mode. We expect a visit from the Department of Redundancy Department any time now. 1-8: Oh, we took your Battlecruisers away, too. Have fun! 2-2: Rolled back some bad juju that came in the last release. Our bad. You didn’t like…want to play this level or anything…right? 2-5: Defeating the pirates no longer results in all of your units mysteriously disappearing. It just results in certain of your units mysteriously disappearing. Episode 1 is now considered Phase 1 Beta Final. Bug releases will still be coming if any are found but feature wise it is complete. All Maps now include custom loading screens. Mod: High Templar's are no longer known as pyro's. Mod: Khrillian now has hyperspace letting him travel great distances in a short period of time. Mod: Gurney can now generate a cloud of nuclear gas that damages units in it. Mod: Some portrait changes were made to better suit some of the models used, as well as differentiate from standard units of the same type. Mod: Fixed a race condition (https://www.youtube.com/watch?v=o3Lvej86sVY) that occasionally disabled tech incorrectly. Mod: All custom models now also have custom wireframes. 1-9 and 2-0 have been updated with some new beautifications from wargirl. 1-7: The player must now build pylons in order to supply her army. We apologize for the inconvenience. General Proofreading has provided a thorow review of the mod. Mod: Twins have had their buff abilities reduced slightly, and have had the duration reduced to 5 seconds. Mod: Heroes have been toned down in general bringing them more in line with normal sc2 heroes. Mod: Khrillian's disruption web no longer requires that the ability be researched. Mod: Moloch's blink has been changed to a version of kerrigan's charge. 1-6: The seismic activity on Char has caused some geographic changes to Mt. Midnight. This has had the “unfortunate” side effect of making it significantly harder to built turret walls around the base. See https://www.youtube.com/watch?v=R6MlHxAzLXA for our further thoughts on this matter. 1-6: Tired of not posing a real challenge, the Zerg have decided to invite some Overlords to the party. 2-7: In the interest of our player’s sanity, provided an optional edited version of the opening cutscene, as well as the ability to assume control of New Antioch at any point in the conversation. 2-7 and 2-9 have been beautified by the wonderful Wargirl. Mod: The twins have each gained abilities unique to them. Mod: Ian got some new upgrades for his bike, including a spider mine creation system, this reduced his storage to 1, but he can now create a new one every ten seconds. He also installed some new engines that let him rev them up to increase his speed. Mod: N/T now has a special ability. Mod: Moloch took some cues from Zeratul and learned to blink. 1-7: Aiur's famed flying fishes have been driven to extinction by the Zerg. Episode 2: For the sake of fidelity, all Episode 2 maps use the Terran briefing room, even though it doesn’t always make sense. 1-4: Gave the Zerg a shot of brain juice, making the opening section much more interesting and somewhat unpredictable. 1-8: Gave ghosts a bite of Alice’s biscuit, shrinking them down to normal size. 2-3: After an embarrassing rout in Game 2 of the semifinal, the #3 Scion Defenders have fortified their base and expect no more trouble from #6 ranked Red Zerg. Mod: Most heroes have had some of their Kool-aid taken away and are doing less damage. Some have also had their health and shields re balanced as well. Mod: Since the heroes were feeling a bit inadequate after we toned them down we made them physically larger. Mod: Actually added version number correctly this time. 1-4: The Zerg have wised up to Jayoborino's cheesy Arbiter tricks and now send Overlords along with their attacks. 1-4: Structures are no longer paused when switching camera bounds. Missile Turrets still are, however, to prevent camera switch shenanigans during air attacks. 1-5: Restored triggers to the map. Oops. Mod: Actually fixed the firebats. Mod: Added special abilites to Turmalis. Mod: Made Rockwell the most electrifying siege tank in the sector. Episode 2 is released! Thanks to everyone for their hard work on getting it out the door and playable. While Episode 1 is in beta release Episode 2 is still in beta and has not had anywhere near the testing that episode 1 has. We will be releasing both as one file/mod for the moment. This may change if Episode gets to release before we are ready to consider Episode 2 ready for release. Please keep testing and sending us your bug reports and feedback. Mod: Fixed issue caused by Mox getting a new suit, now old firebats retain their texture's and icons and such. Mod: Added several new hero models. Mod: Banished Broodwar tech forever. Or at least, until episode 2, where it will certainly all work fine with no lingering headaches. Right? Right. 1-3: After a visit from the enforcers at the Department of Redundancy Department, merged together the hero survival objectives. 1-8: After dying the Psi Cocoon's colonies were too shy to come back out. We've given them extensive public speaking training to remedy the problem. Mod: Fixed Moloch's permacloak tooltip. Mod: Mox no long makes Firebat sounds in certain circumstance. I mean, he does make Firebat sounds, but his own kind of Firebat, but those other, lesser Firebats. Mod: Added a version reporter to the mod, which appears directly under the minerals. We expect that we will frequently forget to update this. 1-5: For some reason, every object on this map was duplicated. We fixed that, so it now plays correctly, rather. 1-2: In our best impression of the Overmind, added a Spire so the Zerg can obey Team Antioch's orders to build Mutalisks. 1-3: Always an attention hog, Nannoth/Taeradun is now on-screen during his cutscene. 1-3: Weakened the Protoss structures, representing the inexorable tide of Zerg that has afflicted the province of Antioch. If that sounds familiar, it's because it didn't actually work last time we thought we did it. 1-7: The Zerg were having too good of a time rampaging on the Protoss, so we reduced the strength of their attacks. Mod: Fixed the cutscene trigger so it correctly pauses the game once again. 1-4: The Mine Gate Bouncer has gotten significantly more picky about who she allows in and will now only open if greeted by Mox, Gurney, the Sensor Probe, and at least four Marine and two Ghosts. 1-5: Upgraded turret sensors, making them detectors. Mod: Nannoth/Taeradun, having reached a new level of self-actualization, now has his own unit sounds. Mod: Fixed an issue that prevented attack waves from functioning. Mod: Added actions to empower the Psi Cocoon to disempower the Protoss. Mod: Fixed a sneaky bug that was slyly making attack waves fail. All maps: enabled briefing music. 1-1: Tethered rock doodads to the real world, making them impassable. 1-3: Added a few more attack waves to the Zerg, hopefully making the map more challenging. 1-3: Weakened the Protoss structures, representing the inexorable tide of Zerg that has afflicted the province of Antioch. 1-5: Addressed a few humorous but verisimilitude-breaking pathing issues. 1-5: Fixed rescue script to hand over first aid stations as well as Marines. 1-5: Fixed the stupid First Aid stations AGAIN. 1-8: The Psi Cocoon now cripples Protoss shields. It's up to the Terrans again, alas. Patch Notes: Added Nannoth/Taeradun's attack fix to 0.2.299. Mod: Fixed a tooltip or two. 1-4: Played matchmaker for the Zerg. 1-4: Added a tempting patch of rich minerals to the map. Also added some aggressive Zerg because greed is a sin and sinners will be punished. 1-4: The Sensor Probe can no longer build Protoss structures. We apologize, but the pathetic Terran meatsacks will have to do the job. 1-4: In a concession to the gamelike-nature of the campaign, units not within the camera bounds now pause, preventing your base from being sacked while you invade the Kel-Morian mine. 1-5: Removed a cruel trick that caused the First Aid station to replenish shields instead of health. 1-6: Ran out of ways to say "made computer players allies." Mod: Default map speed change to "Fast." Team Antioch feels that playing on faster is a choice best left to individuals with freaky fast fingers. Campaign Launcher: Suppressed error massages. Patch Notes: Declined to correct hilarious typo regarding error messages. General: At the request of Jayborino, maps no longer automatically start at the end of the briefing. This will no doubt engender complaints about the end of the briefing, a fact to which the Antioch team resigns itself much as a prisoner resigns him or herself to the inevitable fall of the headsman's axe, or as do the last drifts of snow to spring's first rays of sun. 1-5: Added a prompt to keep the Sensor Probe close, disappointing many hungry Infested Terrans. Mod: Raised the height of Turmalis's weapon so that he wasn't dragging it on the ground all the time. Mod: Fixed a few erroneous weapon information entries. Mod: Nannoth/Taeradun now shoots lightning at his enemies, rather than simply crushing them with the Force. But not Force Lightning, because only bad guys use that. 1-3: The two Zerg forces no longer hate each other. 1-3: Removed some straggling BroodWar upgrades that had snuck past us. 1-7: Conscripted some neutral Drones into the battle for Aiur. 1-1: Objectives are now marked as complete when you complete them. 1-2: This is true of 1-2 as well. 1-3: Made Temple of Jepok unselectable as an ugly band-aid for a problem that's stumped us. 1-3: Added several no-fly zones. 1-3: Restored a cutscene where Nannoth/Taeradun prompts the player to build photon cannons. 1-3: Moved portraits out of the top-left corner, since they don't work there. 1-5: Fixed a bug that had duplicated every unit on the map. No, we don't understand it, either. 1-5: Fixed a bug that caused one First Aid Station to fall prey to the Zerg. 1-5: Fixed a vicious pathing bug that rendered the level unplayable. 1-6: Made the Zerg stop hating each other. 1-6: Fixed a bug that caused the opening cutscene to get cut off. 1-7: Backed off on AI attacks. 1-7: Toned down water glare. 1-7: Fixed a really sunken colony. 1-8: Made the Zerg not hate each other. 1-8: Turned down the glare on the water. Patch Notes: Corrected 0.1.234 notes to state that Archons, not High Templar, have been disabled. Mod: Heroes now bring their own food with them, removing their supply cost. Mod: Added wireframe and description for the Temple of Jepok. Mod: Boosted hero subgroup priority. 1-2: Disabled High Templar construction, which was previously overlooked. 1-5: Likewise significantly reworked the terrain. 1-5: Fixed a typo in the opening Marine speech. 1-5: Mox no longer impersonates said Marine when he talks later. 1-5: Level 2 Door can now resist Mox's charms if he doesn't have level 2 clearance. 1-5: Added several healing stations. 1-5: Reduced Perdition Turret damage. 1-5: Reduced number of enemy units. 1-5: Increased number of rescuable units. So, basically, what we're saying is that this level was way too hard. 1-6: Tightened up opening cutscene. 1-7: Made it slightly easier to win by checking for victory more often. Mod: Beefed up various hero stats. Mod: Gave Turmalis the hero icons he always wanted. 1-2: Disabled High Templar creation. 1-2: Eased up on the brutal ambushes. 1-8: Added bigass explosion where previously we had lacked a bigass explosion. 1-9: Restored missing briefing text. Mod: Made turrets lockdownable across all maps. 1-3: Significantly increased tempo of attack waves. 1-4: Considered a career in arboriculture whilst fixing the tech tree. 1-5: Ghosts start with 100% energy. 1-5: The Sensor Probe now has no buildings to feel bad about not being able to build. 1-6: Mox has removed the Turmalis mask he was wearing during one transmission. 1-6: Fixed broken tech tree that could have been avoided if someone had been a bit smarter about what copied triggers he or she deleted. 1-7: Rejoiced at not having to fix the tech tree. 1-8: Fixed tech tree, but only under protest. 1-4: Addressed a number of balance problems in the opening section. 1-8: Fixed the position of the loading screen text. 1-8: Solved the mystery of spontaneous Zerg combustion. 1-8: Fixed several more gamebreaking bugs. Still no sign of testing team. Mod: Made hero death less abrupt. Mod: Gave into the Emitter Scout's demands to promote it to hero status. Mod: Made perdition turrets targetable with Lockdown. 1-6: Fixed no fewer than six game-breaking bugs, casting serious doubt on the mere existence of a testing team. 1-7: Fixed the position of the loading screen text. 1-7: Fixed several more gamebreaking bugs. Despaired over continued absence of testers. 1-7: Launched an expedition to find said testers, presuming them to be lost at sea (or worse). 1-7: Learned that the individual responsible for writing patch notes was also responsible for testing. 1-4: Added a button to switch between camera views once you enter the mine. Added a gentler transition at the end of each mission. Continued the ritual sacrifice of playtest units by with the Dark Templar in 1-4 and 1-6. Added a universal map loader. Episode 2 maps aren't yet included, so don't press those buttons. 1-6: Fixed a major bug that made the level unplayable. Camera unlocks on all maps at start. Music unmutes on all maps at start. Ambient unmutes on all maps at start. Dialog and score screen hidden on all victories. 1-1 Objective marked complete when you arrive at building area. 1-2 An errant playtesting probe has been fed to the nearby Zerg. 1-2 Ambushes when rescuing zealots now fire much more quickly. 1-2 All heroes must actually survive now. 1-4: Briefing now shows correct objectives. 1-4: Mission now starts if you let the briefing play all the way through. 1-7: The opening cutscene now plays. Some of these maps have not been playtested. 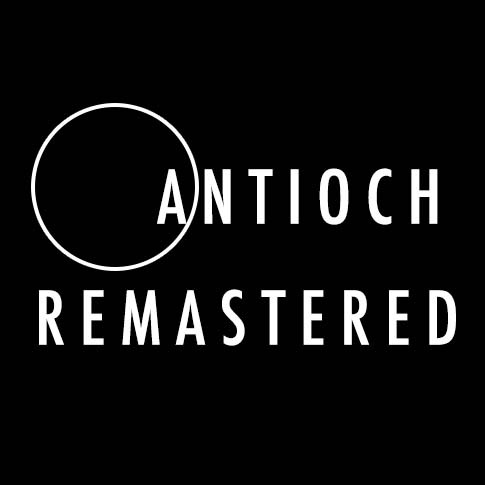 Please offer feedback via the ticket system (http://www.sc2mapster.com/maps/antioch-chronicles-remastered/tickets/) If you find that a mission is too difficult, enable God mode by typing "power overwhelming" in the chat. If you need more resources, likewise type "show me the money" into the chat.